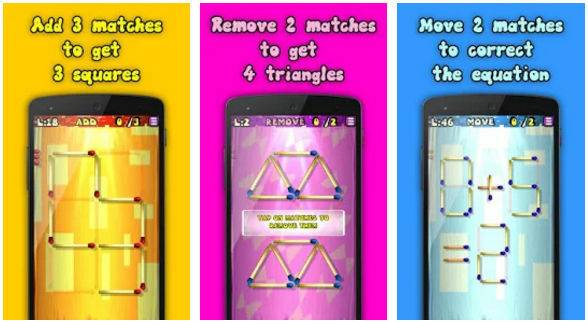 Brain teasers and puzzles are one of the hottest categories of games on the Google Play Store. If played regularly, brain teasers can improve your problem-solving skills. The puzzle games don’t have intriguing graphics or animations. Nevertheless, they are fun to play. The games feature a leaderboard that reflects your latest scores. Once you’ve scored some points, you’ll try to get a better score the next time you play the game. Infinity Loop is a challenging game that requires users to create shapes from arc and lines displayed on the screen. Once you build a shape, the game will load a new set of lines and arcs. IL features two game modes. In the loop mode, you must build a shape from the geometric structures. In dark mode, you must destroy the structure. This game enables you to create new puzzles. It includes a leaderboard system. IL plays a nice background music when you’re playing it. If you don’t like the music, you can disable it. 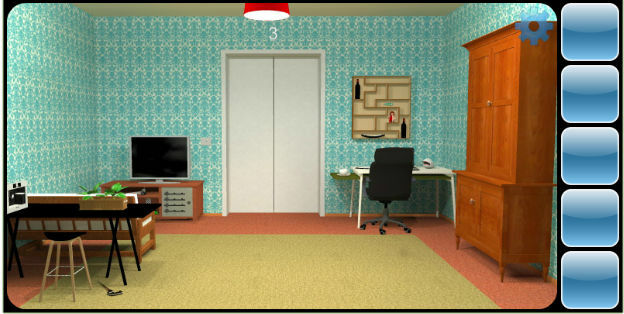 In Can You Escape game, the user must unlock hidden puzzles in the game to escape from the tower, house or a building. The tower or the building has many rooms and various objects. The clue to break out from the room is located under or inside the object. In some rooms, you’ll find a clue hidden behind a loose brick in the wall. Once you escape the room, you’ll be locked inside another room. Unlike other games mentioned in this article, Can You Escape has nice graphics. The game is free and gets updated with new puzzles and challenges often. 2048 might be an old game, but it is still considered one of the best Android puzzle games of all times. In 2048, you’ll see a 3 x 3 matrix on the screen. Each cell of the matrix has a number. You must join adjacent matrices to form the number 2048. Users can play 2048 game in multiplayer mode. In addition, 2048 offers 3 challenging game modes. This game has excellent sound effects and a leaderboard system where you’ll find the list of top scorers. It features night mode and has the option to share the score with friends. 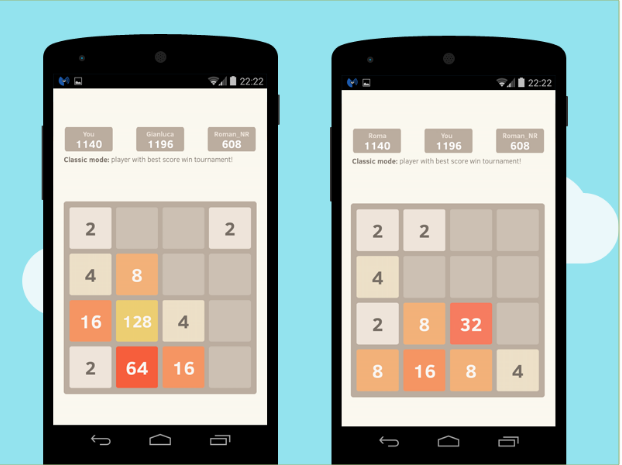 2048 has a simple interface and it runs on Android 2.2+ devices. 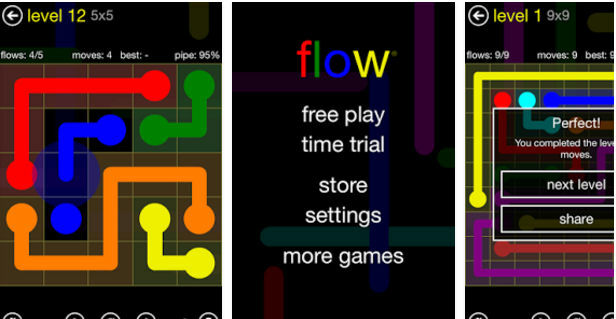 Flow is one of the most popular puzzle game for Android devices. 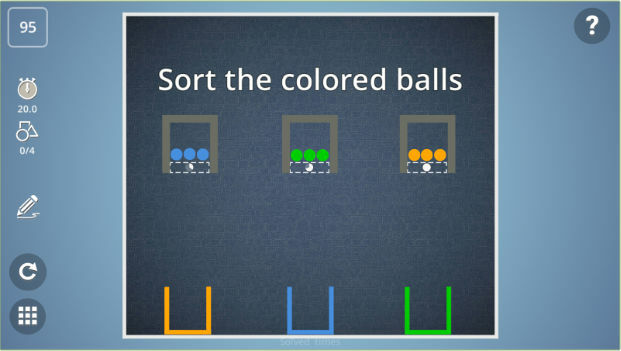 In this game, users must join the dots displayed in the cells of a matrix in the least possible moves. The join should be direct. Flow game has four free color themes. Users can play Flow in time trial mode. They can choose a board/matrix size. Flow packs several levels. It enables you to share the game progress with other users. Its integration with Google Play Services leaderboard makes this game more competitive. Roll The Ball is a puzzle game with an interesting concept. In RTB, you’ll see a box with several wooden tiles. As you can see in the above picture, the first title in the box contains a ball. Some tiles in the box carry a pipe and the remaining ones are empty. You must arrange the tiles in such a way that the ball passes through the pipes and reaches the goal. Initial levels of this game are easy. As you make progress, the game gets challenging. Users can play this game in five modes i.e. multiplayer, star, classic, moving or rotation. RTB has options to turn off the sound, notifications, interactive tutorial, heavy animations to conserve battery, etc. Hexa Puzzle is a free puzzle game wherein you must fit the randomly generated shapes in the hexagonal structure displayed on the screen. It includes several levels. It provides free hints to the users for watching advertisement videos. 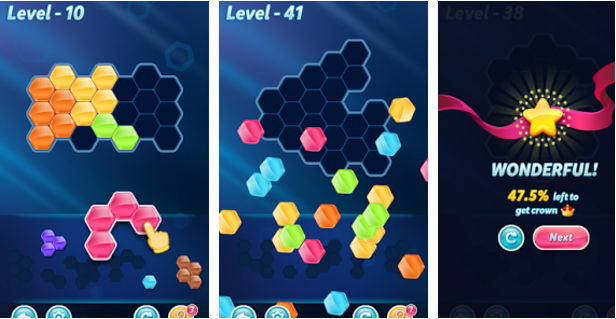 Block Hexa Puzzle enables you to sync your gameplay data with FB. To make sure that user doesn’t get annoyed with the same UI, this game ships with three color themes. It also allows users to compete with other online players. Block Hexa game has nice graphics. 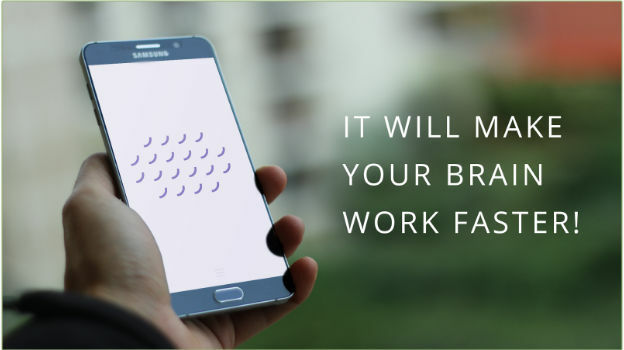 Brain it On is a physics-based Android Puzzle game that asks the user to complete certain tasks within the stipulated time. In this game, you’ll see an empty vessel, balls or glass on the screen. You must draw random objects so as to displace, drop the vessel or place balls in it. The objects you draw will fall into the glass, vessel or the space surrounding them. Although Brain it On is a physics game, changing the phone’s orientation doesn’t have any effect on the objects. BIO has 240 levels. 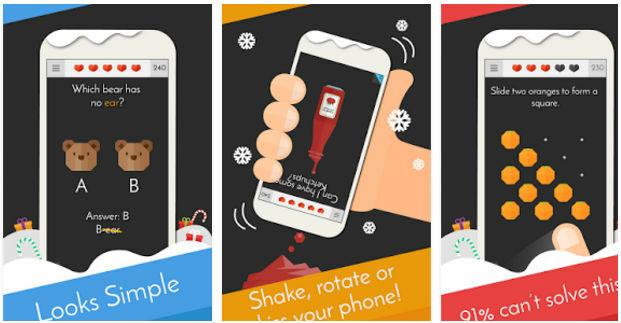 Tricky Test is a free trivia game that tests your IQ by making you answer a series of questions. In TT, you must solve as many brain teasers as you can. The user will earn a point for each correct answer. The points represent your IQ. If you answer each question correctly, you’re a genius. If your score is low, you can retake the test. Users who can’t answer the current question can see the hint or see its solution/answer for free. 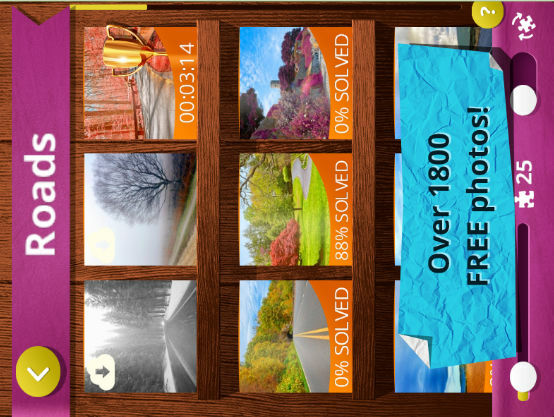 JPR is a puzzle game that generates jigsaw puzzles from 1500+ pictures. To get started with it, you must select the image. Then, you must specify the number of pieces you want JPR to create from the selected image. JPR will now generate the puzzle. You must drag and drop the pieces to build the actual picture. The game saves the pictures to storage memory of your mobile phone. It is free and addictive. 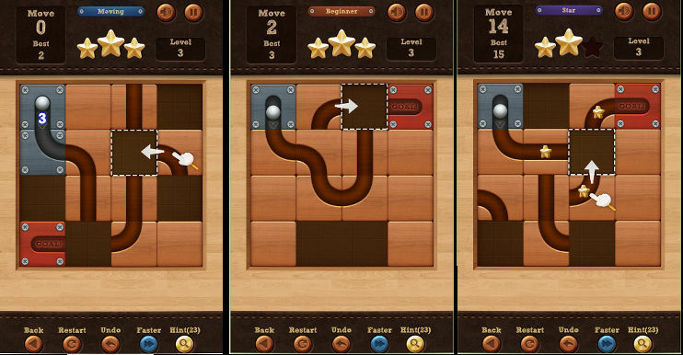 Yet another top Android Puzzle game, MP displays tasks on the screen. You must complete the task by placing the matchsticks on the marked spaces. The game has 1000+ levels. It works on low-end mobile devices running on the Android OS. Matches Puzzle has a leaderboard and personal achievements section. The Android puzzle games we’ve mentioned above will exercise your brain and improve your problem-solving skills.